SANTA BARBARA, CA – 2019 – The Santa Barbara Vintners Festival, now in its 37th year, stands out in a world awash in wine festivals. 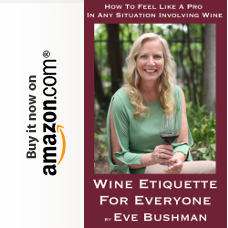 Not only is it one of the largest wine festivals in Southern California, but it is often the actual winemaker or winery owner who is pouring for the public. Slated for May 4, 2019 at Rancho Sisquoc Winery, this festival sets itself apart as the wine festival put on by winemakers for wine lovers. Novice and experienced oenophiles alike get the opportunity to ask their wine related questions during the weekend’s signature Festival Grand Tasting. Held the afternoon of May 4th, at majestic Rancho Sisquoc, the Festival Grand Tasting features over 70 wineries, many pouring newly released wines. Local food purveyors, live music, culinary and wine demonstrations, and a silent auction are a perfect pairing with the wine. The Santa Barbara Vintners Festival allows wine lovers to taste over 70 varietals grown locally. No other wine festival in the world offers the opportunity to experience more local grapes. Santa Barbara is blessed with such great diversity because of its unique geography which includes a transverse valley. This east-west valley creates a quilt of micro-climates in the area, allowing for the wide range of grapes that thrive. Drawing on the wealth of wine knowledge represented at the Festival, guests will get a behind-the-scenes look at how wine is made. There will be museum-like displays providing insight into the winemaking world, from watching a cooper make barrels, to seeing how wine actually gets in the bottle, to barrel-tasting at the winery itself. During the weekend of the Festival, the Vintners Visa is also available. 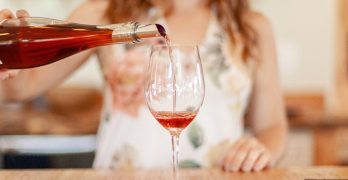 This $50 Wine Country Tasting Pass allows guests to pick tastings at 12 wineries in the county with over 40 wineries to choose from during the May 2-6, 2019 window. This pass is the most robust tasting ticket offered all year. Several ticket options are available for the Santa Barbara Vintners Festival. Early Entry VIP access ($100), which allows holders access to the Festival Grand Tasting an hour before it opens to the public, General Admission ($75), Locals Only ($60) and Designated Drivers and Under 21 ($25). This year the Festival returns to Santa Maria’s Rancho Sisquoc Winery, the beloved site of past Festivals. The winery is part of a 37,000 acre cattle ranch and farm purchased in 1952 by Mr. and Mrs. James Flood, who still own the property today. 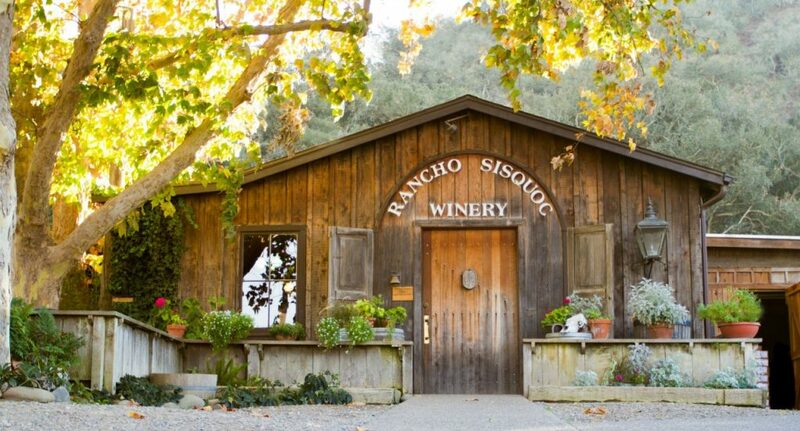 The ranch is part of an 1852 Mexican land grant and the Chumash Indians called this area “Sisquoc,” which meant “gathering place.” Today, Rancho Sisquoc remains a gathering place, this time for wine lovers. The northern region of the Santa Barbara County, Santa Maria Valley, is renowned for world-class Pinot Noir, Chardonnay and Syrah. The area boasts 34 tasting rooms, six unique AVAs, 13 beaches, and a growing selection of local breweries, all within a beautiful 30-minute drive. 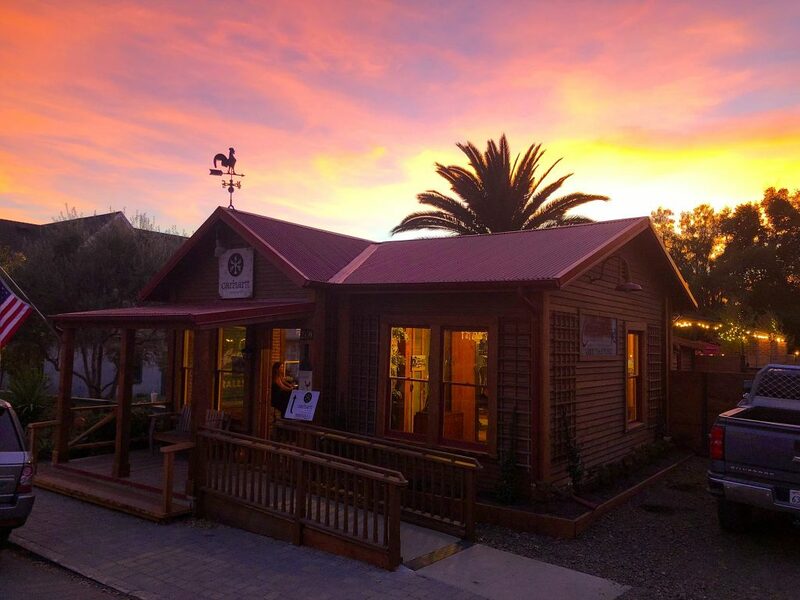 If you are looking for sand dunes, hiking trails, horseback riding, cycling, and authentic Santa Maria Style barbecue, you’ll find all in Santa Maria Valley. Santa Maria Valley is the perfect home base to eat, drink and do more for less. Guests who are staying at any Santa Maria Valley hotel receive a special pass that include tastings at Santa Maria Valley area tasting rooms. Tickets for the festival are available online now, visit www.sbvintnersweekend.com for more information. LOS ANGELES (PRWEB) – Augmented Island Studios’ CEO, Enrique Sánchez-Rivera, wanted to enhance the wine tasting room experience with augmented reality. Chase Carhartt, from Carhartt Vineyard, has always believed in the value of ground-breaking new technology, especially when it pertains to member interaction. He quickly partnered up with Augmented Island Studios to build Carhartt Vineyard AR – the first ever wine augmented reality experience in the Santa Ynez Valley – Santa Barbara, California’s coastal wine region. “The wine tasting experience, whether at home or in a tasting room, hasn’t changed in ages, and Carhartt Vineyard AR brings entertainment, interactivity and an additional informational tool to Carhartt Vineyard’s wine club members and fans all across the nation.” – Enrique Sanchez-Rivera, CEO of Augmented Island Studios explained. Upon launching the Carhartt Vineyard AR app, which you can download through the Apple App Store, a beautiful flyover scene of Carhartt Vineyard’s stunning 11 Oaks Vineyard passes by. The app then instructs you to find a flat surface where you can place the vineyard’s logo in order to click on it. Once you click, an ultra realistic 3D modeled bottle of Carhartt’s 2015 Estate Sangiovese appears right in front of you! You then get to explore different “floating” icons around the bottle and learn about the Sangiovese varietal, Carhartt’s 2015 vintage, and the history of the ranch. Try taking the cork off the bottle with your finger and you will be thrilled to see cherries and rose petals coming out in representation of the wine’s tasting notes while the cork hovers right above the bottle. Don’t forget to put the cork back in its place though! Carhartt Vineyard is family owned and operated since the early 1950s. The Carhartt’s sell 100% of their wine directly to the consumer which allows them to focus entirely on their farming, winemaking, and guest experiences. You can find the wines in their tasting room in Los Olivos, California, or on their website at http://www.carharttvineyard.com. Lucky for me winemaker Dusty Nabor, of Dusty Nabor Wines, is pals with Sculpterra winemaker Paul Frankel – in fact Nabor buys his Bentley Cabernet Sauvignon grapes from Frankel – and Nabor graciously offered to see about getting me an interview and a behind the scenes tour with Frankel. My husband and Frankel in front of the many metal art pieces at Sculpterra. When we drove up to the winery, its reputation as a sculpture garden preceding it, I made a point to tour the grounds a bit and photograph anything I hadn’t already seen before. It’s quite an impressive sight, and I believe unlike any other winery in Paso or anywhere else. Frankel grew up at Sculpterra, and lucky for his father, he was bitten by the wine bug when he attended Cal Poly. Frankel said you have to love farming and winemaking. His father, Dr. Warren Frankel, is currently in India working as a medical missionary with the “His Healing Hands” organization. The vineyard was planted in 1993, beginning with 90 acres, then they purchased 160 more. There are now twelve varieties of wine grapes under vine, and pistachio acreage as well. There is also a vegetable garden and fruit trees. Viognier does well here, according to Frankel, and is their best selling white wine. Primitivo is the most popular in their blends, and their Port is well liked too. Harvest began on September 11 this year and ended on November 1st. Their biggest issue: squirrels. Frankel believes there are thousands of them on the property. The have tried bombs, traps and even shooting. Now they have hired a person for the sole purpose of managing the squirrel population. Notes of apple, peach and pear – quite refreshing! I agreed: apple, peach, nectarine, white pepper. I could see why this was a favorite. Eddie liked this one a lot. Notes of tea, cherry, clove and mint. Smoke, jam, cedar and my top pick…so far. Brambles, blackberry, smoke, clove and chocolate. I loved the lush fruit and long finish. This was a top pick for both of us. The grapes are grown below Bentley’s workshop, near where the winery is located some distance from the tasting room. Liked the brambly quality. Another favorite of Ed’s. Besides blackberry I found it gamey and earthy, and it turned out to be my favorite wine in the tasting. Dark fruit, rich, lush and layered. 38% Cabernet Sauvignon, 38% Syrah and 24% Petite Sirah. Loved this for its rich dark fruit. Ed is not a port fan but he enjoyed all of the wonderful chocolate flavors in this one. 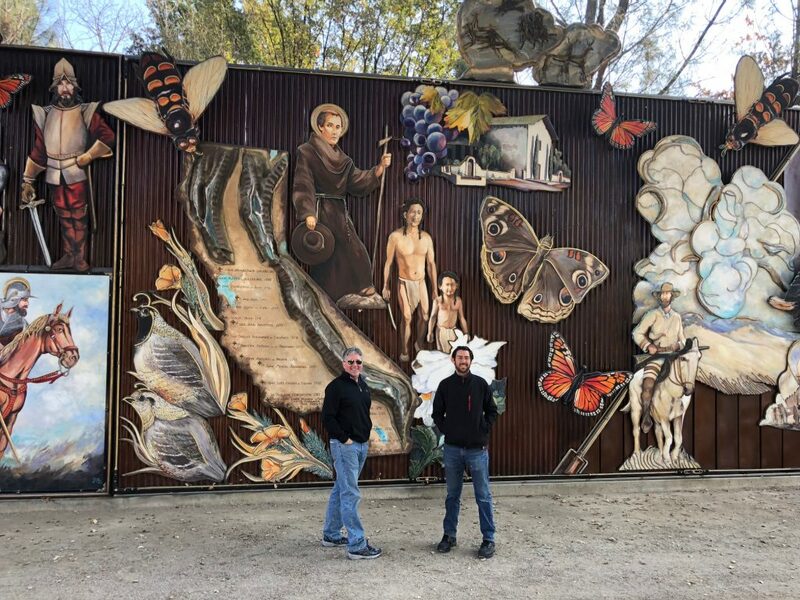 To see the photo grids from all of our Paso winery visits from this trip click this. Le Cuvier’s John Munch explaining is style of winemaking. Once you drive the windy hill road up to the property and park your car you will be able to take in a tremendous view. Munch greeted us in the parking lot, interrupting us from our gaze and we meandered over to the winery crush pad. I knew I’d be back out there soon enough and could snap photos to my heart’s content. We were about to see where the work that mattered takes place. Munch had already explained that he was handing over the full time winemaking responsibility to Clay Selkirk, but we knew that Munch’s fingerprint was on everything. Munch had been making wine in Paso for years, beginning with Adelaida Vineyards and then for Estrella. The winery had originally been built by Munch as a spec house, started in 1978 and not completed until 2008. Le Cuvier Winery opened in 1983. The vineyards are all dry farmed and head pruned, no inoculations or sulfites are used and no fining agents. They harvest premium grapes from limestone and calcareous sources. The current harvest ran from September 4 through the 24th. Munch explained that every bottle produced is sold at the winery, 90% to club members and 10% to walk in guests. They make 12 to 15 different wines per year, and they always hold back a few cases. The wine was honey-colored with a bouquet of bruised apple, incense, honeysuckle, with just a hint of mown grass and celery, with the same flavors on the mouth. Little to no acid made it very round to me, and the flavors lingered in my mouth, and then in memory. Munch thought there was a bit of cork taint, but I thought that blew off in a few minutes. It would be the wine he and I both returned to later in the tasting. Munch commented, “An old Cabernet and an old Chardonnay have more in common”, which made me think that I definitely want to lay down some Chard, preferably his, in my cellar. With the color of dark burgundy to espresso, the bouquet included raspberry, pepper, deep, rich fruit and florals, layers of spice, forest floor and earthiness. The taste reminded me of a vintage port, very balanced and nicely spiced. Munch commented, “Picking out raisins is no what Zin is all about.” And I for one was glad those raisins stayed in the mix. This red wine is made in the Solera method with several different vintages to create the whole. What we knew was that it was bottled in 2011, all wines were close to 15 – 16 years old (vintages ranged from 1998 to 2008) , varietals may have included old to newer Cabernet Sauvignon, Cabernet Franc, Petit Verdot and Malbec. And as Munch said, it was a way to get rid of any excess by creating a blend. A nice purple color with a huge bouquet that included dark, fresh berries and earthy. The flavors were very fresh, reminiscent of a fine cognac, dark fruit and chocolate. With 90% Malbec and 10% Cabernet from a vineyard that had been dry farmed. The color was a dark purple, I noted aromas of all dark fruit and flavors that included that same dark fruit, balanced with pepper and a lovely long finish. Before leaving us in the tasting room Munch shared this reasoning for why they serve food with their wines, we “create a ‘shadow’ of what they could be” for when you take them home and pair yourself. Recipes for all of the chef’s pairings are also available online. 2014 Chrysos paired with winter squash soup with pepitas. 75% Viognier, 25% Roussanne, skin contact, honey in color and aroma along with rich and ripe fruit: Meyer lemon, peach and kiwi. The pairing mellowed the acid in the wine quite pleasantly. 2014 Grenache (Devil’s Gate Wine Works) paired with duck breast on endive with pomegranate seeds & reduction. Four years in barrel, I found the wine very aromatic with flavors of tart red cherry as well as dark berry. Again the pairing lowered the acid and also brought out more layers in the wine. 2015 Littoral paired with cheddar, chive and black pepper gougere. I was told that this wine is normally Cab Franc, however this vintage was 42% Petit Verdot, 30% Cab Franc and the remaining percentages were taken up by Malbec, Merlot and Cabernet Sauvignon. When swirling the glass we were asked to note the “stained glass” appearance that was due to dry farming. The wine had spent three years in neutral oak for aging. The color was bright and charming, and the nose held red to black fruit and pepper – all in balance. The flavor proved to be fresh and dark too, again with a nice balance of red and black fruit, followed by a welcome heat. The food pairing softened the acid and opened up the fruit even more. NV Pentimento paired with mushroom polenta with goat cheese and wine reduction. The 2018 release of the Pentimento using the Solera style where some of the wines contributing over 21 years of aging. The breakdown is 61% from previous years, 20% of 2015 Petit Verdot and the remaining percentage is 2015 Cab Franc. The name Pentimento is based on Lillian Hellman’s biography of the same name, referencing the past influencing the present. Black cherry titillates your nose while the flavor is very rich and layered, made brighter by the pairing. 2015 Zinfandel paired with candied rosemary mixed nuts. Again we have a dry farmed grape, that gave aromas of dark fruit, chocolate and a slight dark vegetation. On the mouth we got that same dark fruit and chocolate as well as a hint of a sweet finish. Stay tuned to Le Cuvier Winery this upcoming February 2019 for a new release, the L’Enfant de Papel, aka The Pope’s child, a GSM blend that is sure to wow like all the others on its own and in a pairing. MONTREUX, Switzerland (PRWEB) – Glion Institute of Higher Education, a world-leading hospitality management institution, has granted Swiss-Italian sommelier Mr Paolo Basso the degree of Doctor honoris causa in an awards ceremony held at the institution’s flagship Glion campus on 24 October 2018. The honorary doctorate was awarded in recognition of Mr Basso’s achievements in oenology and the wider field of hospitality, and his transmission of expertise and excellence to future generations. Photo from Glion Institute of Higher Education Facebook page. A passion for oenology has taken Mr Basso from his native Lombardy, in Italy, to a global career as a renowned sommelier. His persistency and quest for perfection has earned him accolades such as Best Sommelier of Switzerland (1997), Best Sommelier of Europe (2010) and Best Sommelier of the World (2013). Based in Switzerland, Mr Basso currently delivers the weeklong “Universe of Wine” course at Glion, which forms part of the mandatory practical arts curriculum for all first-semester bachelor’s degree students. Topics covered in the course include wine-making processes, wine tasting and food pairing, understanding the value of wine, and business concepts such as investing in fine and rare wines. In addition to teaching students at Glion, Mr Basso hosts a series of gourmet dinners open to the public at Le Bellevue, Glion’s student-operated gastronomic restaurant. Featuring food and wine pairings selected by Mr Basso, the most recent dinner took place on 25 October 2018, with two more scheduled for 2018. Founded in 1962, Glion Institute of Higher Education is a private Swiss institution offering bachelor’s and master’s degrees in hospitality, luxury and event management to an international student body across three campuses in Switzerland and London, UK. Glion also offers a dual-degree MBA and MSc programme in partnership with Grenoble Ecole de Management. Part of Sommet Education, Glion is accredited by the New England Commission of Higher Education (formerly the Commission on Institutions of Higher Education of the New England Association of Schools and Colleges, Inc.). Glion is ranked number five of the world’s top institutions for hospitality and leisure management and number one worldwide for employer reputation (QS World University Rankings by Subject 2018). 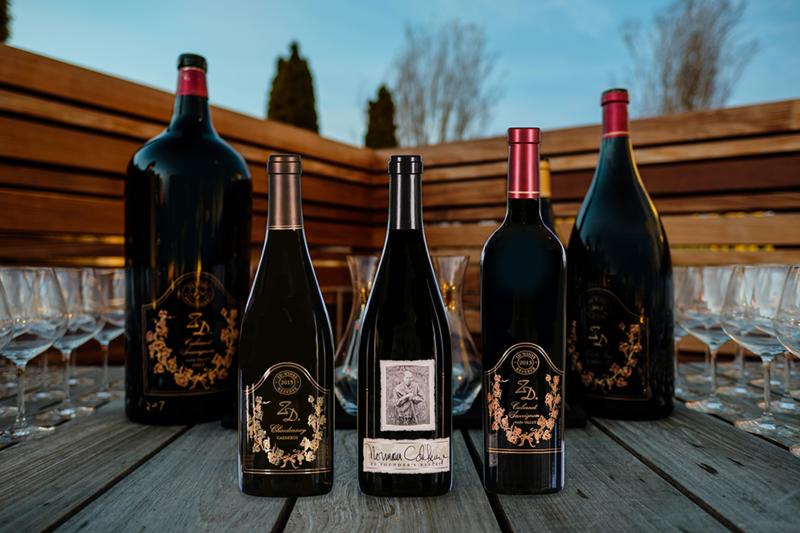 NAPA, Calif. (PRWEB) – ZD Wines has announced that the 2018 harvest will mark 50 years of winemaking for this Napa Valley family. Founded in 1969 by Norman and Rosa Lee deLeuze, ZD Wines is committed to producing world-class wines, farming organically and providing first-class hospitality, all while supporting many charitable efforts. Today, the second and third generations of the deLeuze family carry on the family legacy, producing wines from their certified organic vineyards in Rutherford and Carneros, as well as organic vineyards in Napa, Santa Barbara, Monterey and Sonoma. With innovative winemaking practices, they produce wines of quality, consistency and style. ZD Wines is known for three core varietals including Chardonnay, Pinot Noir and Cabernet Sauvignon. They also produce two small production whimsical wines, named “Rosa Lee” and this fall they will release their first-ever sparkling wine to commemorate their 50-year anniversary. 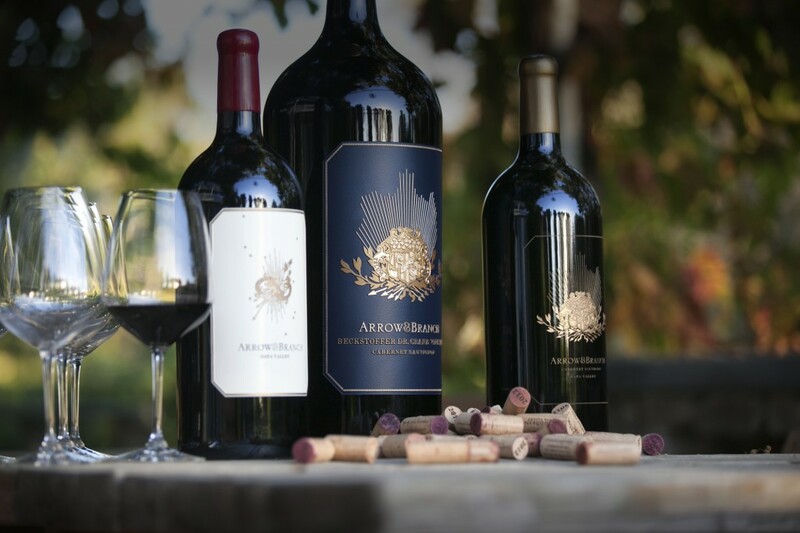 This fall ZD will also release their 20th Bottling of Abacus, ZD’s pinnacle and innovative solera style wine that is a blend of every vintage of their Reserve Cabernet Sauvignon dating back to 1992. The deLeuze family has a rich history of embracing an ecologically sensitive approach to all aspects of their operation. With a focus on producing world-class wines, ZD’s certified organic vineyards promote biodiversity using the best technologies of the day, as well as time honored farming methods. The winery and vineyards use solar energy, bio fuels, composting, cover cropping, recycling, water conservation, electric vehicles, and more, to conserve and enhance our planet. ZD Wines is certified by CCOF, Fish Friendly Farming, Napa Green Winery, and California Certified Sustainable Winegrowing. The deLeuze family is also dedicated to giving back. Their annual fundraising events include Crush Challenge and ZD’s Summer Wine Celebration. A strong emphasis is placed on the Napa Valley Boys & Girls Club Teen Center as the beneficiary of these events, as well as The deLeuze Family Charitable Foundation that benefits research to find a non-toxic cure for Lymphoma (Founder, Norman deLeuze succumbed to this disease in 2007). Each week, the deLeuze family and ZD team deliver healthy snacks to the Napa Valley Boys & Girls Club Teen Center. 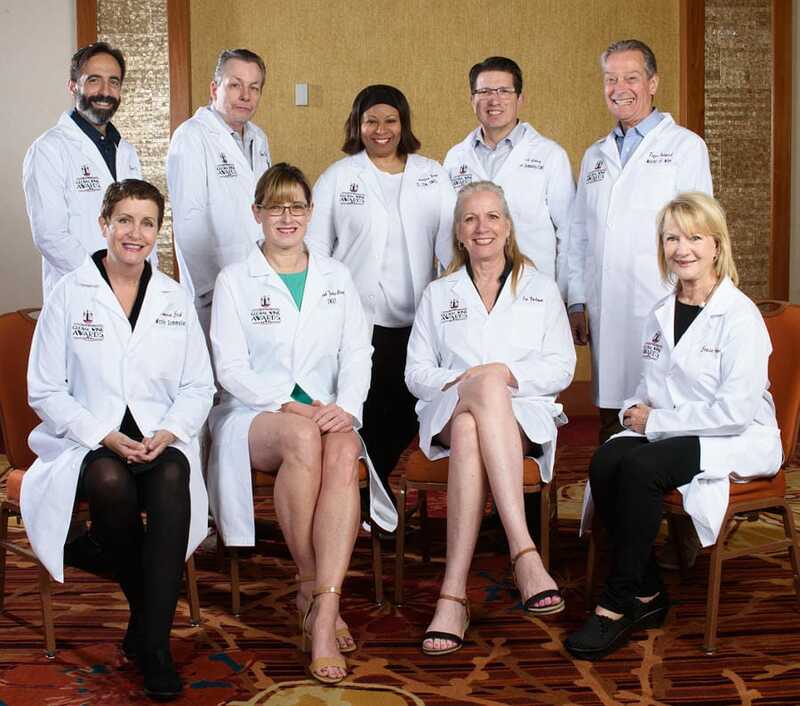 The deLeuze family also provides an annual $500 grant to each employee to gift to local charities of their choosing, and each year they participate in charity events around the country. To mark their 50th anniversary, ZD Wines is hosting two Napa Valley events on Saturday, September 8. The first event is an exclusive wine tasting and harvest lunch hosted at ZD’s Rutherford estate winery. That event will be followed that evening with the “ZD’s 50th Anniversary Bash” taking place at CIA at Copia in downtown Napa where ZD will host a silent auction for the Boys & Girls Clubs of Napa. More information can be found here. ZD Wines is owned and operated by the deLeuze family who is dedicated to producing world-class wines, farming organically and giving back to the community. The winery is located in the Rutherford region of the Napa Valley. Their hospitality center offers sweeping valley views of premium Cabernet Sauvignon vineyards and the Mayacamas mountain range to the west. The deLeuze family produces wines from their certified organic Napa Valley vineyards in Rutherford and Carneros, as well as organic vineyards in Napa, Santa Barbara, Monterey and Sonoma. With innovative winemaking practices, they produce wines of quality, consistency and style. ZD Wines is currently celebrating 50 years of winemaking and can be found online at ZDWines.com and @ZDWines on Facebook, Instagram and Twitter. These three new experiences, detailed below, are exclusively offered at one of Napa’s newest state-of-the-art wineries, Wheeler Farms. Included in the experiences are: a complete tour of the grounds, winery, and winemaking facility as well as an opportunity to visit the properties chickens, bees, orchard, and bountiful planters that are filled with seasonal vegetables and herbs. 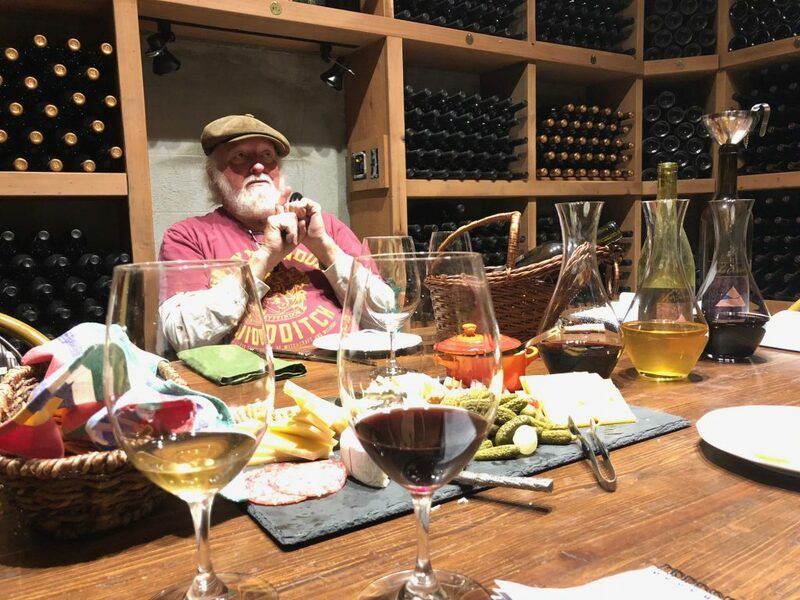 The newest additions to the Arrow&Branch tasting experiences at Wheeler Farms will now feature small bites made by the winery’s chef included in the fee. These pairings will complement each wine experience and feature produce grown right on the property. Current seasonal dishes include a Mushroom Duxelle, Parmesan Crisps, Salted Organic Almonds, Cheddar Biscuits drizzled with local honey, and Gougeres. Our second experience allows for an in depth vertical tasting of wine from one of Napa Valley’s more esteemed and historical vineyards. Often referred to as the La Mission Haut Brion of Napa, this vineyard was originally planted in 1858 and consists of gravelly Cortina and Bale loam soils. The vineyard’s climate is known as one of the warmest in Napa Valley which produces a beautiful, dark, luscious fruit flavor profile. 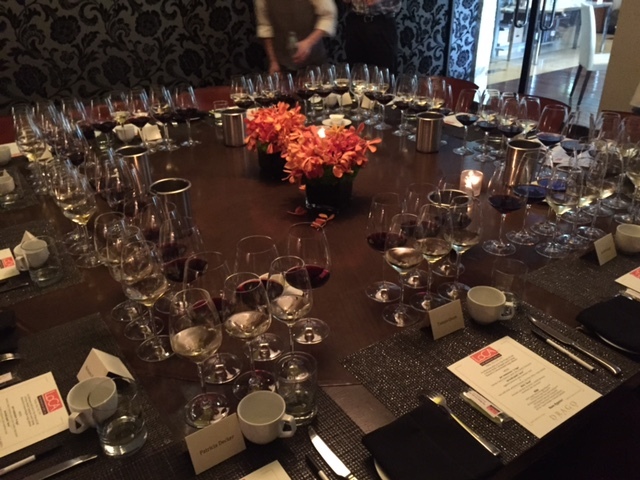 This experience offers an opportunity to enjoy a vertical tasting of Arrow&Branch’s flagship wines. The primary grape source is from our meticulously farmed Cabernet Franc Estate Vineyard in Coombsville. The unique microclimate is unlike any other in the Napa Valley; where the morning fog burns off quickly but cool breezes sweep through the vineyard on summer afternoons. This allows the grapes more time to ripen and encourages flavor and character development in the grapes. The wine is then blended with Merlot from the Stagecoach Vineyard which also provides a unique flavor profile thanks to its elevation and red, volcanic soil. The fruit is described as ripe, bold, and extremely concentrated which make it perfect for ultra-premium wines. The two unique grape sources create a “Right Bank” Cheval style wine. Each taster will experience Arrow&Branch “Right Bank Blend” 2011, 2012, 2013, and 2014 wines. Camron King and Craig Ledbetter were on hand to tell us all about the wineries and vineyards in LoCa, aka the wines of Lodi. Camron is the director of the Lodi Winegrape Commission, and Craig is a partner at VinoFarms, and helped developed the region’s benchmark 3rd-party certified sustainability program. Camron, to get us up to speed, gave us an overview of the Lodi region and then led us through the tasting. Maybe three of our group of 12 #LAWineWriters had visited Lodi. Camron said Lodi is directly east of the San Francisco Bay, giving them a “beautiful region” for wine grape growing due to the pacific breezes. Lodi does have warm degree-days in summer time and during the growing period, but the delta breezes provide a 40 – 45 degree cooling change and that coolness develops great acidity in the fruit. They have been growing grapes in Lodi since the 1850s. Over 100 different wine varietals, from Albariño to Zinfandel, including old and new world wines, and all are “expressing quite nicely.” Now they have over 85 wineries and of those 65 having tasting rooms, making the growth perfect for wine tourism. Many wineries are small, boutique and direct-to-consumer. Michael David Winery, with its 7 Deadly Zin, is their biggest commercial winery. With wine production in every U.S. state many of these states get their grapes from Lodi. Leading with many different varietals, Lodi helps others meet the demand for wine. The longevity of the famous old vines in Lodi are due to the sandy soil, and because of that soil they don’t have the pests that other grape growing regions deal with. And according to our hosts, Zinfandel loves sandy soils. Though “the flagship variety” in Lodi is Zinfandel – and they are the world’s leading producer of Zinfandel, and produce about 40% for the state – they have wine varietals from all over the world. Many vines are over 100 year old. They have one of the oldest, 132 years old, the Bechthold Vineyard, (vineyard of the year designate in 2014) which produces Cinsault. Bechthold isn’t the only Lodi winery to win a recent award, Delicato Vineyard is the winery of the year for 2014. 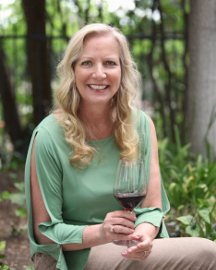 Also in 2014 “The Ledbetter family, which owns and operates Lodi-based Vino Farms, received the California Association of Winegrape Growers’ Grower of the Year Award…” more. Lodi’s famous Zinfandel, and other grapes, may be picked at a higher brix level, which will translate to higher alcohol. And across the board, the majority of the wines are priced up to about $30. Craig Ledbetter is a third generation wine grape grower, with zero association with any of the wines we were set to taste. He is interested in selling the region as a whole. In 1972 Craig’s grandfather, along with two partners, moved to Lodi to start farming wine grapes. Vino Farms now farms 16,000 acres, and is still a family operation with members living in different counties (they farm in 8) all over California. They have a beautiful downtown area, made up of cobblestone streets with plenty of shady trees. The city crest is a grape cluster, the buses are called the GrapeLine and the shopping center is The Vineyards. Population is 60,000 with most in the wine industry. The tasting rooms are considered “quaint” as family members man most. Lodi is considered to be a very philanthropic community that is very “tied together” and vested in the future. Bright green apples, buttery caramel, Meyer lemon; full and viscous, lemon zest, refreshing, crushed pineapple. Sweet Hawaiian pineapple, fresh apricot, cut pear with a hint of anise; the same lovely fruit, nice medium acid, long finish. Well done. There are lots of Albariño wines in the restaurant and tasting room menus in Lodi according to our hosts. Candied red apple, kiwi, lemon-lime, cling peaches; not a sweet palate, more of a welcoming tang followed by balanced citrus and tropical fruit. This would be nice with a cool seafood salad. Plum, cigar, sautéed mushroom, blueberry; dark fruit, dusty, dry, tannic. Can I have my New York steak now? Well done, wine that is. Blueberry and blackberry jams, milk and dark chocolate, a hint of mint; very balanced, a perfect marriage of fruit and spice. I’d love this in a chocolate pairing. Heavy dusty dark fruit, black olive, black peppercorns, can’t wait to taste; chewy spicy fruit, nice and tannic, want steak with this one too.